We are proud to offer what we feel are some of the best homes in the Westville and Pinetown area. Pinetown is unique in that it has its own CBD which offers inhabitants the convenience of living close by to a CBD which offers employment in industrial, commercial and retail sectors.. Pinetown offers good schooling and has plenty of schools in and around the area. There is a mixture of apartments, townhouses and free standing homes all at affordable prices. 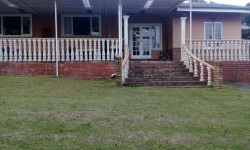 Property in Pinetown ranges from entry level to the affluent homes in Cowies Hill. Pinetown is a mere 20 minutes drive to Durban and is set at the foot of Field's Hill which forms part of the annual Comrades Marathon. Easy access to and from Pinetown via the M13 and N3 and the moderate climate make Pinetown a very affordable place to live. Westville offers larger homes on larger stands. The green, tree lined streets makes the area visibly appealing. Westville offers excellent schooling and also houses the University of Natal and Varsity College. Premier shopping malls are easily accessible, the Pavillion being the top choice for designer boutiques and offers over 40 eateries. For the nature lovers, the Palmiet Nature Reserve is close by offering great hiking trails and bird watching. Durban beach front is 15km away and an easy drive on the N3 highway. Many business centres and office parks are to be found in Westville due to the easy access of the N3 and M19 highways. We have always been unique and different in our approach to the market and believe in enriching the lives of others through the ownership of property. With our recent rebrand to one unified company, we have evolved from a specialist letting agency to a business offering a complete property solution that includes residential, commercial and industrial property for rentals, sales and investment. This bold step to once again differentiate ourselves from the rest, has inspired our vision for the company to be a market leader with Wealth Creation through Property and making a difference in the lives of others" (extracted from Just Property website). With this in mind, we at Westville and Pinetown do not believe that we need to be part of a Multi Listing Services. We are confident in our ability to market and sell your property by providing you with a one-on-one interaction with a dedicated sales agent. Our aim to to strive for customer satisfaction and not commission. That is why we at Just Property have been awarded the AFRICAN PROPERTY AWARDS FOR 2017-2018.